Hey! Few days ago I blogged about Spotlight Is Coming To Malaysia and 2 days ago I was at the Spotlight Malaysia Preview. We were privileged to get a guided tour around the new shopping hub. 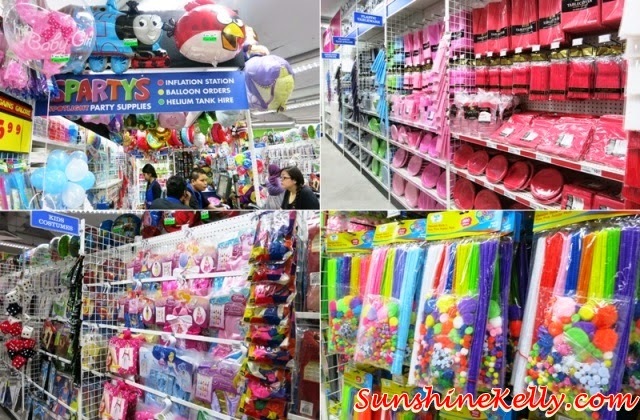 It's A New Shopping Hub in Malaysia like a one stop centre for the whole family. There is something for everyone. 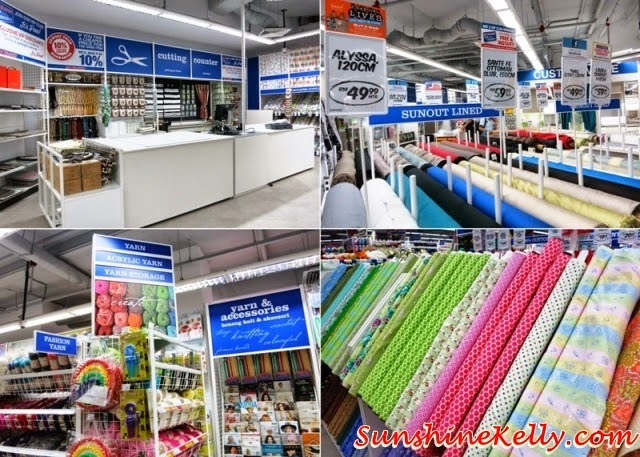 Sprucing up your home is now hassle free as Spotlight Australia’s largest fabric, craft, party and homemaker superstores is opening on this Saturday 12th July at 10am. Spotlight Malaysia first flagship store will opened at Ampang Point Mall and will occupy 2,400 square meters of retail space. It’s a unique, inspiring and convenient shopping experience for you and me. Ok, according to the information given there are about 150,000 high quality products available in Spotlight store over 6 categories ranging from Home Furnishings, Manchester (bedding), Home Décor, Dress and Fashion Fabrics, Craft, Hobby and Party essential at great value. I sort of like an creative hub and like wise it says there is something for everyone. For the gods and goddesses – it’s a convenient hub for bedsheets, linens, towels, kitchenware, ready to made curtain, custom made curtains and all sorts of stuff for your instant home makeover. For astute home decorators – you can also find inspiring range of decorative touches such as rugs, candles, wall art and vases. For avid dressmakers – oh yes I was there I saw a lots of fabrics plus dress and fashion fabrics and stuff such as knitting, quilting and not forgetting the sweing materials. For passionate hobbyists & DIY enthusiasts – your DIY session can be easy. All you have is to indulge in your creativity with your choice of craft supplies and DIY products including gift cards, cake decorating, beading, doll & bear. For party organizer – this is a place to go to get all your party stuff such as cards, gift wrap, balloons, streamers, tableware, novelty items, costumes, cake decorating and more. In Store Workshop, there will be complimentary workshop sessions so get your family, friends and yourself to join the fun, learning and shopping. Count down: 1 more day to go for Spotlight Malaysia Opening! Have you get ready your shopping list? is there any way i can buy?